However, I would like to press Evers on two points. 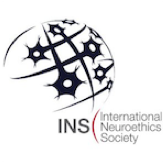 First, while it is true that the term ‘neuroethics’ is typically used to refer to the narrower sub-discipline of applied neuroethics, many of the issues she hopes to emphasize - including consciousness, personal identity and moral judgment - are, in fact, being studied in a systematic way, albeit under different disciplinary headings, i.e., ‘philosophy of mind’ and ‘moral psychology.’ For example, Walter Sinnott-Armstrong’s Moral Psychology is a standard in contemporary philosophy and discusses topics ranging from the evolution of morality to neuroscientific analyses of a number of brain disorders. Rather than suggest that fundamental neuroethics is undervalued, then, Evers’ criticism should focus on the need for more substantive dialogue between scholars focusing on philosophy of mind, moral psychology, and neuroethics, respectively. Scruton, R., "Brain Drain" in The Spectator, March 17, 2012. Segerdahl, P., 'Can Neuroscience Modernize Human Self-Understanding, 'The Ethics Blog, May 17, 2012. Evers, K. 'Towards a Philosophy for Neuroethics," in Science and Society, Vol. 8, 2007, 48. Segerdahl, P., 'Interview with Kathinka Evers, 'The Ethics Blog, June 5, 2012. Evers, K., 'Neuroethics: A Philosophical Challenge," in American Journal of Bioethics Vol. 5 (2), March/April 2005, 31. Gupta, Kristina. 2012. Protecting Sexual Diversity: Rethinking the Use of Neurotechnological Interventions to Alter Sexuality. AJOB Neuroscience, 3(3): 24 - 28. Like pretty much anything else, "neurohumanities" can be done poorly or well. On the poor side, I think we've both read articles where x scholar claims the following: my favorite 18th or 19th century philosopher talked about the mind this way; his description is supported by contemporary neuroscience/cognitive science, therefore he is the best philosopher ever. 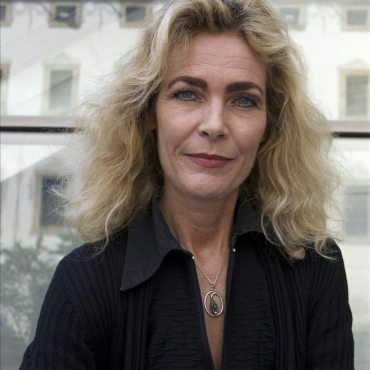 Thank you for offering Kathinka Evers' work as an example of neurohumanities done well! Firstly, can I ask why it is that those who call themselves Ethicists are almost always opposed to any decent ethics. 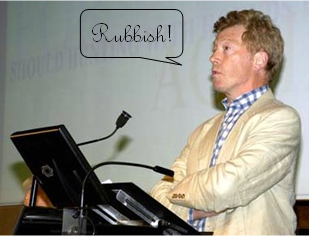 Secondly, you simply do not explain how Evers really responds to Scruton's point. All I see above are some vague, radically materialistic assumptions noted. As someone who thinks that empirical research (including empirical research in neuroscience) can help answer philosophically interesting questions, I am at the same time sympathetic to Scruton's points. As I see it, Scruton's two main points are: (1)In many cases, when we turn to empirical work in neuroscience, we are simply forgetting the philosophical question. When doing neuroscience, we are actually answering different questions, and we shouldn't fool ourselves into thinking that we are answering the same questions. (2) Often time when we try to directly answer the questions of e.g., philosophy, with neuroscience what results is bad philosophy. I actually fully agree with both of these points. But in spite of my agreement with both of these points, I still think empirical work (including work in neuroscience) can help answer philosophically interesting questions. How is this?! Well, even if neuroscience is not answering the same questions as philosophy poses, this does not mean neuroscience is not answering questions related to the philosophical questions. And it is possible that, in some cases, the nature of these relations is such that an answer to the empirical question can help inform an answer to the philosophical question. But the exact nature of the relation between the empirical data and the philosophical theory requires philosophical theorizing to establish. And this philosophical theorizing is rarely obvious or straightforward and nearly always very contentions. I'm more than happy to address your concerns, but it'll be easier to do so one by one. Regarding your first point, can I ask you how you would define 'decent ethics'?